Ed Ludbrook joined OneCoin as Chief Sales & Marketing Officer, Chief Leadership Officer and Asia Ambassador in November, 2015. At the time Ludbrook described OneCoin as ‘a multi-trillion dollar opportunity that any fool will recognise once educated with the facts‘. 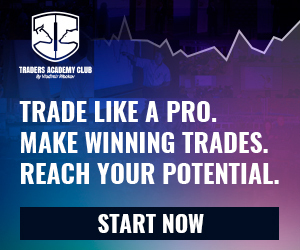 On the public side of things, Ludbrook hosted and appeared at OneCoin events – with a focus on affiliate recruitment in Australia and New Zealand. That focus saw Ludbrook front a July, 2016 OneCoin recruitment gig in Melbourne, Australia. At the event a member of Ludbrook’s audience challenged him on the legitimacy of OneCoin as a cryptocurrency. Ludbrook responded by laughing and accusing the audience member of “arrogance” for “voicing their opinion”. By October, 2016 Ludbrook had left OneCoin under mysterious circumstances. Like OneLife CEO Pablo Munoz, Ludbrook simply disappeared. To this day OneCoin has not publicly addressed what happened to their Chief Sales & Marketing Officer. Ludbrook meanwhile, although initially boasting of his association with OneCoin, today only credits himself as a “consultant”. Curiously, almost a year on from his departure, Ludbrook has shed some light on what happened. According to an edit to his LinkedIn profile around September, 2017, Ludbrook claims he ‘left as answers were not provided to important questions‘ (credit @OneCoinInsider). hired to lead the development of the global organization due to my experience and reputation and, whilst the results were spectacular, I left very disappointed with the approach of the company. I was misled by the CEO and have deep concerns over the company. What Ludbrook was mislead over is unclear, but we do know he’s referring to Ruja Ignatova (Pierre Arens wasn’t appointed until mid 2017). Considering Ludbrook claims that during his time at OneCoin the affiliate-base grew from 600,000 to 2.5 million, surely he owes an explanation to anyone who joined as a result of his representation that OneCoin was legitimate? 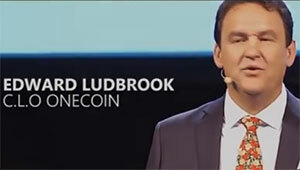 At the Melbourne OneCoin event and in front of prospective investors he was trying to lure into OneCoin, Ludbrook attempted to ridicule his detractors and claimed “they didn’t know” what they were talking about. What happens if you’re wrong? What will you give me if you’re wrong? I think it’s time to come clean Mr. Ludbrook and admit you were wrong. Disclose to OneCoin investors what exactly it was you were mislead about and why you bailed on them. Shortlived OneCoin CEO Pierre Arens departed OneCoin a few months ago under similar circumstances. Other than citing “a lack of leeway as a leader”, Arens has not publicly disclosed the specific reason(s) for his departure. Similarly, OneLife CEO Pabo Munoz disappeared earlier this year. Munoz was a no-show at OneCoin’s Macau event in May. To date neither Munoz or OneCoin have issued a public statement explaining his absence. Your professional legacies are on the line gentlemen. Wouldn’t it be easier to come clean and move on with a clean conscience? BitPayProfits Review: Reselling royalty-free music? What Does Bitcoin’s Second Largest Difficulty Drop Mean?